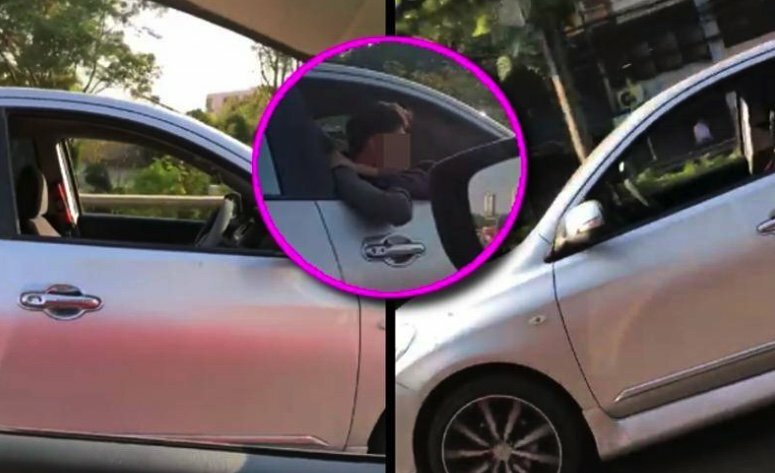 Thai social media went into meltdown when a video showed a car being driven by a man who had put the driver's seat right back. He was said to be sleeping while the car was going along. The clip showed the car apparently driver-less and it has been suggested that the man behind the wheel put it in cruise control. "Narawut Nakama Thongsong" had posted his experience on Facebook. Daily News Online spoke to him after the incident on Tuesday night caused much comment online. He said that while driving between Lat Prao and Prachacheun on Rama 7 Road he spotted the driver of the car half leaning out and he beeped his horn. The man looked as though he was nodding off and he wanted to alert him. But the next moment he had disappeared from view. Narawut reckoned he had put his seat right back and was sleeping while the car was in cruise control. At this point he got his girlfriend to start filming. He said it was very lucky there was not a crash as such terrible behavior would mean trouble not just for the driver but other road users and the general public. He was said to be sleeping while the car was going along. You gotta be kiddin' me . . . unless it's a put-up job, which would be even less surprising. How some people get their kicks in this sick country is starting to worry me. A student prank, likely as not. It's not uncommon for taxi drivers to fall asleep at red light. Their driving is basically that of a zombie, half asleep half awake. Car would crash in a few seconds. Thai social media went into meltdown when a video showed a car being driven by a man who had put the driver's seat right back. what evidence is there of any social media 'meltdown'? I can agree on Media Meltdown. Plenty of newer cars have Lane Keep Assist and the ability to automatically adjust the speed according to the car in front.